Our library team have enjoyed meeting our new Foundations students and we are so pleased to see how many of you are borrowing our Graded Readers for the M-Reader competition. We have also been spending time with program levels and showing students how to get the best results from their research, as well as sharing some referencing tips. The Print Room is now up and running and you can access all your printing from this room located next to Starbucks. If you are printing from the Library PCs, you will need your student card to release your printing from the printer. Please ask our library staff to assist you if you need help with first time printing from the new system. 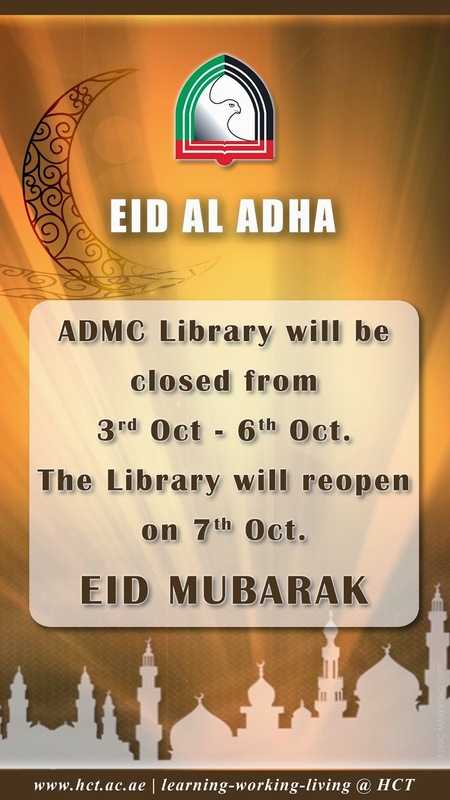 Finally the library team wishes you Eid Mubarak and if you need some good reads for the break, stop by the library for a recommendation of a print book or eBook.